Swapping lenses gives cameras versatility — but the QooCam aims for versatility not from entirely new lenses, but with a quick twist of the camera body. Announced on May 2, the QooCam can shoot 360 footage at 60 fps 4K, but flip the top end of the camera and the compact camera is ready to shoot 180-degree footage with a depth map for 3D or even refocusing the shot later. 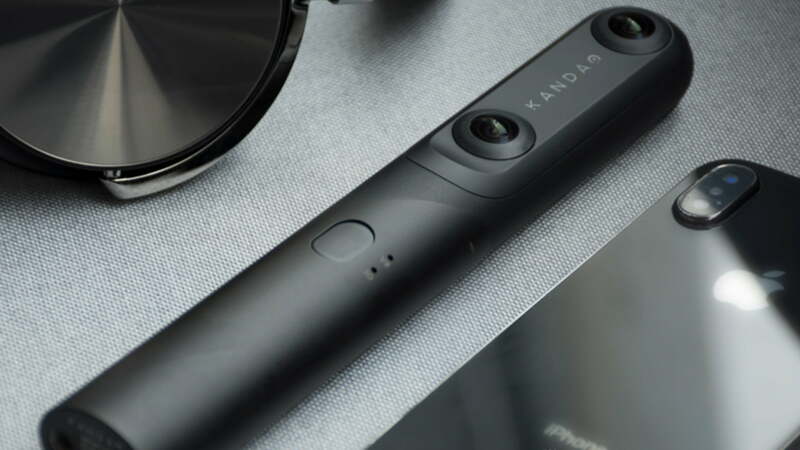 Designed by Kandao, the same China-based company whose 360 camera was applauded by Facebook last year as part of the Surround 360 project, the QooCam combines both 360 and 3D 180 footage in the same camera body. In the first orientation, the camera’s three lenses are vertical for capturing 360 in 4K detail, but without 3D. Flip the lens section of the camera to the side and the two lenses on the front can work together to gather depth data. In this horizontal position, the camera shoots 180, a format supported by YouTube. The offset lenses can shoot in 3D and still at 4K (though at 30 fps and not 60 fps) for headset viewing. 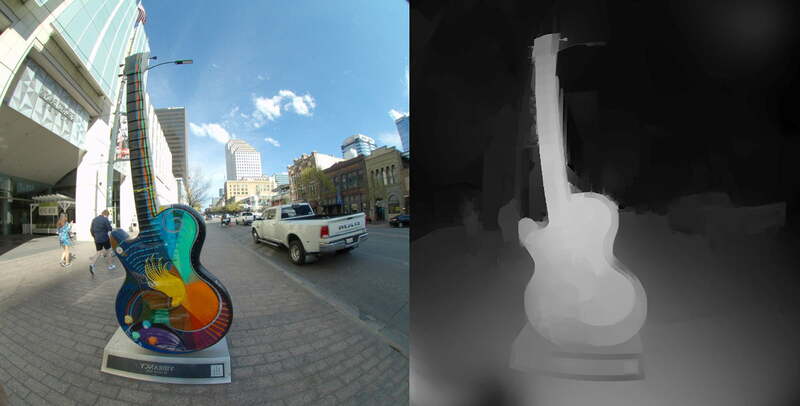 Based on the software introduced in the company’s high-end Obsidian camera, the depth mapping also allows the shots to be refocused later using a related app. The effect is similar to the refocusing ability of the Lytro but uses 3D mapping rather than light field technology. The QooCam is designed using three 216-degree, f/2.2 lenses. Sony sensors are built in, allowing for a still photo resolution at 4,320 pixels in width. Wi-Fi and Bluetooth are also built in, with images stored on a MicroSD card. Kandao built-in real-time stitching software, allowing both the 3D and 360 content to be stitched in-camera. Using a mix between a built-in sensor and software, the camera also incorporates image stabilization. The camera’s app, which will be available for both iOS and Android, allows users to connect to the camera and share fully stitched photos and videos. The company is also building editing options into the app, including the option to track a subject around the 360 view and to build panning effects into the 360 footage. Livestreaming, time-lapses, and Little Planet mode are also included. With a thin body more closely resembling the Theta than rectangular bodies like the GoPro Fusion and Garmin Virb 360, the camera weighs only six ounces. The body is made with aluminum alloy to mix in durability with that lightweight profile. The built-in battery is rated for up to three hours of shooting. Kandao says the camera is compatible with action camera mounts to allow the QooCam to be added to a drone, helmet, tripod, and a handful of other accessories. Kandao is taking to Kickstarter to launch the QooCam and the campaign reached full funding after only three hours. If the remainder of the testing and production is successful, the QooCam will ship in August. Early backers could get the QooCam for pledges starting at $299, a $100 discount from the expected retail price.